Curated by Wes Anderson, Who Will Appear In-Person! A harrowing masterwork of postwar Nipponese noir, Stray Dog has a young Toshiro Mifune as a rookie detective disgraced after having his pistol nabbed on a Tokyo bus, driven into the city’s lower depths in order to seek clues to its recovery, the urgency of his mission increasing as the weapon is implicated in a crime spree, his composure unraveling as he draws closer to a culprit who comes to appear increasingly as a Dostoevskian double. Sustains a stifling summertime atmosphere, while shot through with passages of pure poetry. 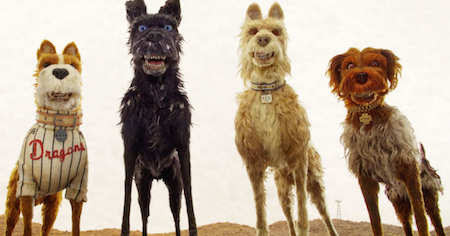 **One of the key influences on Isle of Dogs, introduced by Wes Anderson. One of the greatest actor-director collaborations in all of cinema began with this film, Kurosawa’s eighth feature and his first to star Toshiro Mifune, the fierce, fiery actor—startlingly handsome, here—who would anchor many of the director’s finest works. Mifune plays a tubercular Yakuza who strikes up an unlikely (and often volatile) sort of kinship with Takashi Shimura’s alcoholic slum doctor. Raw and humane, and perhaps the first of Kurosawa’s fully mature works. One of Kurosawa’s supreme achievements, Ikiru shows the director at his most compassionate—affirming life through a fearless explora­tion of the approach of death. Takashi Shimura beautifully portrays Kanji Watanabe, an aging bureaucrat with stomach cancer who is impelled to find meaning in his final days. Presented in a radically conceived two-­part structure and shot with a rich, perceptive clarity of vision, Ikiru is a multifaceted look at what it means to be alive. Both the final film of this period in which Kurosawa would directly wrestle with the demons of the Second World War and his most literal representation of living in an atomic age, the galvanizing I Live in Fear presents Mifune as an elderly, stubborn businessman so fearful of a nuclear attack that he resolves to move his reluctant family to South America. With this mournful film, the director depicts a society emerging from the shadows but still terrorized by memories of the past and anxieties for the future. 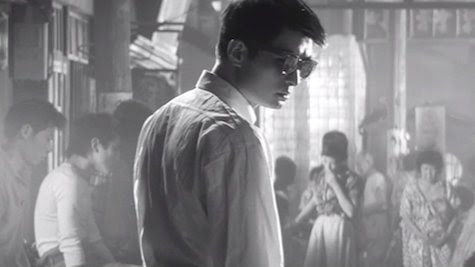 A young executive hunts down his father’s killer in Kurosawa’s scathing diagnosis of spiritual malaise in corporatized culture, The Bad Sleep Well. Continuing his legendary collaboration with actor Mifune, Kurosawa combines elements of Hamlet and American film noir to chilling effect in exposing the corrupt boardroom skullduggery of a prosperous-but-poisonous midcentury Japan, where intrigue is every bit as thick as back in Elsinore. Kurosawa’s staggering formal genius is on full display in this tense kidnapping thriller based on an Ed McBain novel and set in contemporary Japan, starring Toshiro Mifune as a rich industrialist thrown into a nerve-shredding situation, first believing his son has been kidnapped, only to discover it was his chauffeur’s child. Enveloping extended set pieces, constant visual invention, geometric precision of framing, and fascinating narrative structure make High & Low a gripping take on the animosity sown by vast economic disparity.